Honored to have three of my pieces selected for Pacific Art League’s “Fur, Feathers, and Fins” Exhibition. I was especially excited to find out that three of my pieces were selected for Pacific Art League’s “Fur, Feathers, and Fins” Exhibition by an artist I truly admire, Michael Azgour. The Opening reception for the exhibition is on Friday, June 7th, 5:30 to 8:00 pm. 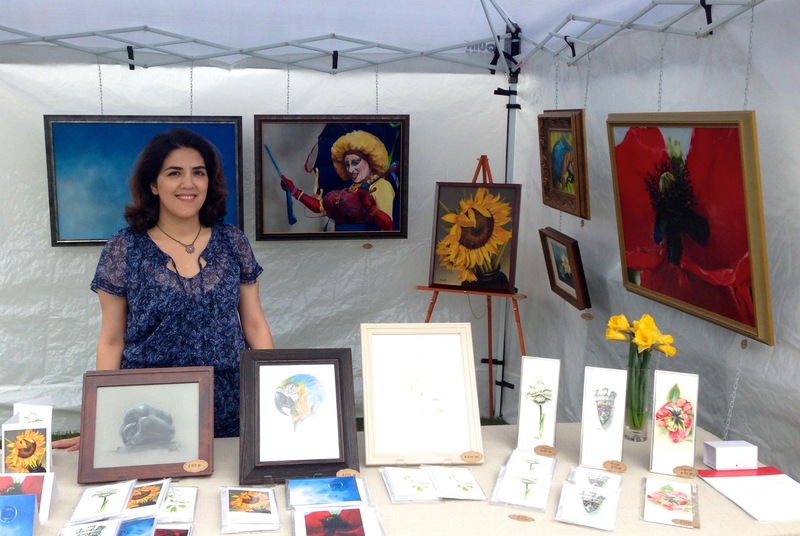 I have been fortunate enough to participate in multiple shows this year, the most recent one being the “Saratoga Rotary Art Show” which is known as the “largest one-day juried show in the West”! It was a very unique and educational experience for me since it was the first time I was fully involved in organizing a booth that displayed my own artwork since 1999! Nevertheless, it turned out to be a humbling and wonderful experience. All the work that went into putting together the show would not have meant anything without the loving support of friends who attended the show and shared their enthusiasm about the event as well as their thoughts about my paintings. The venue was very unique in that it hosted a large number of fine artists from across the country as well as skilled craftsmen, some of whom make a living on participating in similar venues year round. It was a great learning experience for me, particularly because I was able to play the role of a host and was responsible for representing my work at the same time. My work derives from a variety of subject matters and each piece has a story that sets it apart from the others. The diversity in subject matter, style, and mediums in my work was definitely a contributing factor of my decision to apply for this juried show as I was able to gather oil paintings plus watercolor and charcoal studies all in one space to showcase a small piece of my world with art enthusiasts in one day!